Black Dog & Leventhal, 9780316509039, 376pp. Every discussion in the book is illustrated with Orlin's trademark "bad drawings," which convey his message and insights with perfect pitch and clarity. 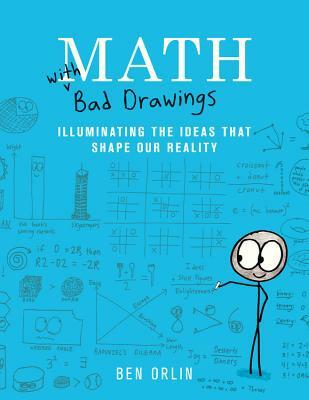 With 24 chapters covering topics from the electoral college to human genetics to the reasons not to trust statistics, Math with Bad Drawings is a life-changing book for the math-estranged and math-enamored alike. Ben Orlin is the author of the blog Math With Bad Drawings. He also writes on topics related to math for The Atlantic, Slate, Los Angeles Times, and Chicago Tribune. He began his teaching career in Oakland, California, and later taught at King Edward's School in Birmingham, England. He lives with his wife, a mathematician, in Northampton, Massachusetts.